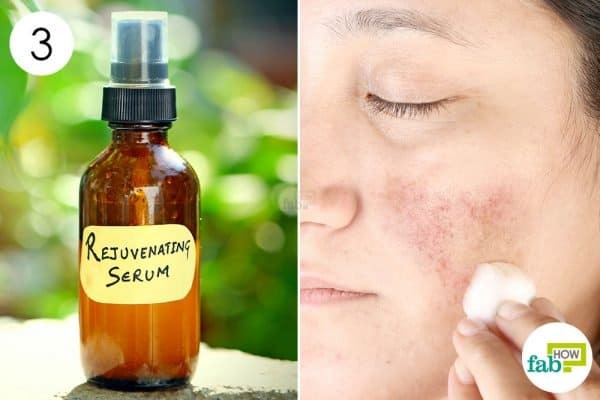 Everywhere you look, you can see models and celebrities with flawless skin praising and promoting some miracle serum or other that claims to be an elixir for all your skin troubles. Apart from the deep hole that these products can burn in your pocket, they also often turn out to be big on promises but low on deliverance. Fortunately, we’ve got four tried-and-true skin serums that are made using natural essential oils to give you the beautiful skin you’ve always dreamed of having. However, we did not stop at just that. Each of these serums is designed to help you with specific skin issues, such as aging, dull skin, acne, and related scars. 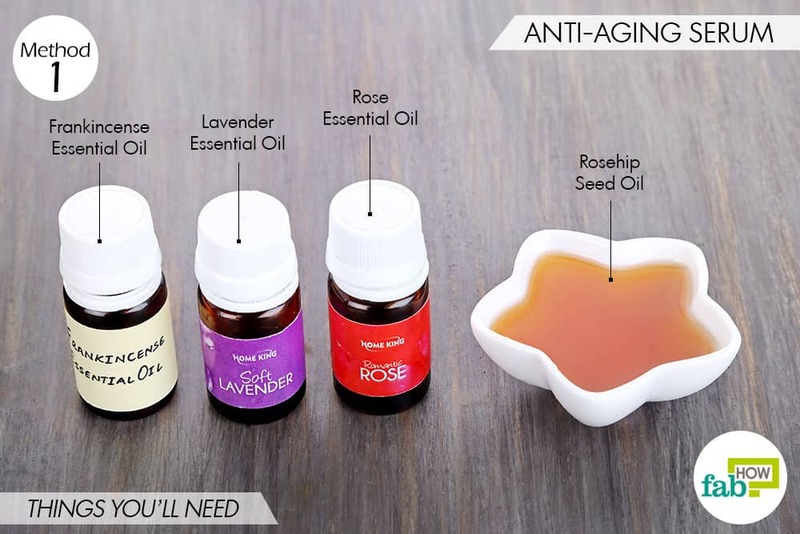 So, continue reading to learn how to make 4 DIY face serums for aging, acne and more. Note: As essential oils are quite powerful, always do a patch test before proceeding with the full-scale application. Aging is an inevitable fact of life, but you can keep signs of aging like fine lines and wrinkles at bay by using this DIY face serum with essential oils. Rosehip seed oil is considered by many to be a miracle for skin, as it contains antioxidants and anti-inflammatory fatty acids along with several vitamins like A and C. It not only rejuvenates dull, tired, and aging skin but also works to fade any marks or blemishes, giving you visibly younger-looking skin. This superior oil blend also contains frankincense oil, which has antimicrobial and anti-inflammatory properties that are very effective if you suffer from adult acne. The lavender and rose oils further enhance and restore your skin. 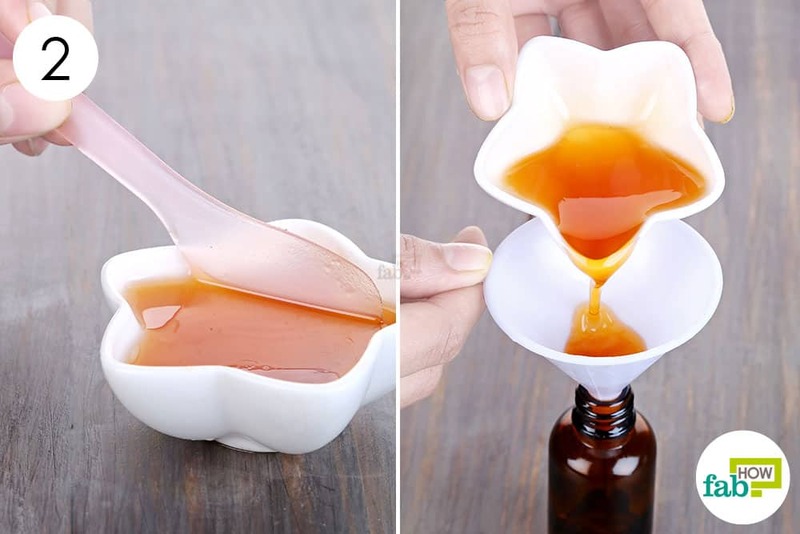 Put 1 tablespoon of organic, unrefined rosehip seed oil in a container. 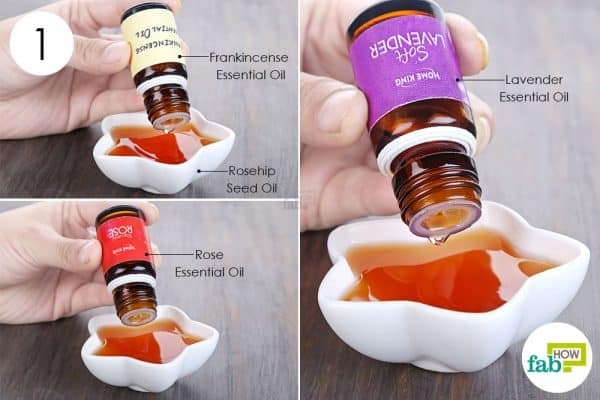 Add 6 drops of frankincense essential oil. Add 2 drops each of rose and lavender essential oil. Mix the oils well to get a uniform blend. Funnel the prepared blend into a ½ oz — dark-colored bottle with a dropper. Wash your face at night with a mild cleanser and use your regular toner. Put a pea-sized amount of the oil blend on your palm and rub your hands together to warm it up a bit. Gently massage the anti-aging serum into your face for 1 to 2 minutes. 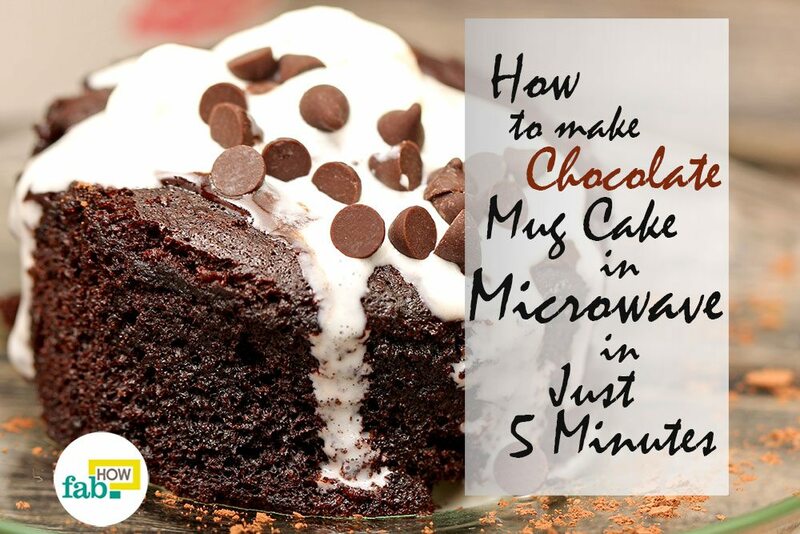 Leave it on overnight, and wash your face in the morning with lukewarm water. Repeat daily to keep your skin looking bright and youthful. You will notice visible results after 1 week of regular application. Do you fondly remember the glow you had when you were 18? As time goes on, the stress and tension of everyday life can leave your skin dry, dull, and damaged. 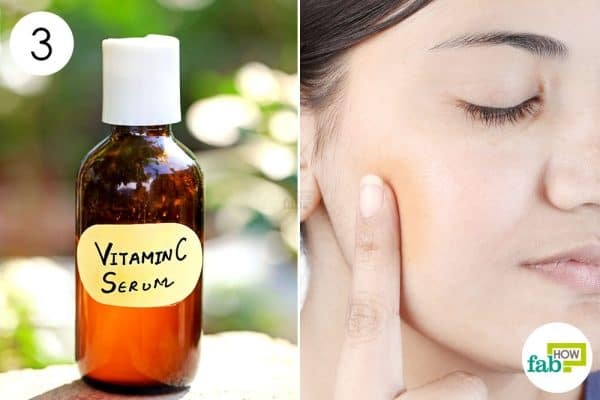 Instead of getting expensive treatments at the salon or from your dermatologist, you can use this incredibly useful DIY face serum made with coconut oil, witch hazel, and lavender and chamomile essential oils. Extra-virgin coconut oil contains medium-chain fatty acids that hydrate and nourish your skin from within, moisturizing and rejuvenating dull and tired-looking skin. Chamomile is one of the oldest known medicinal herbs and has been extensively used to treat a wide variety of physical and nervous disorders. On a more cheerful note, chamomile essential oil can work wonders for your dull, damaged, and tired skin, as it breathes new life into your skin cells. 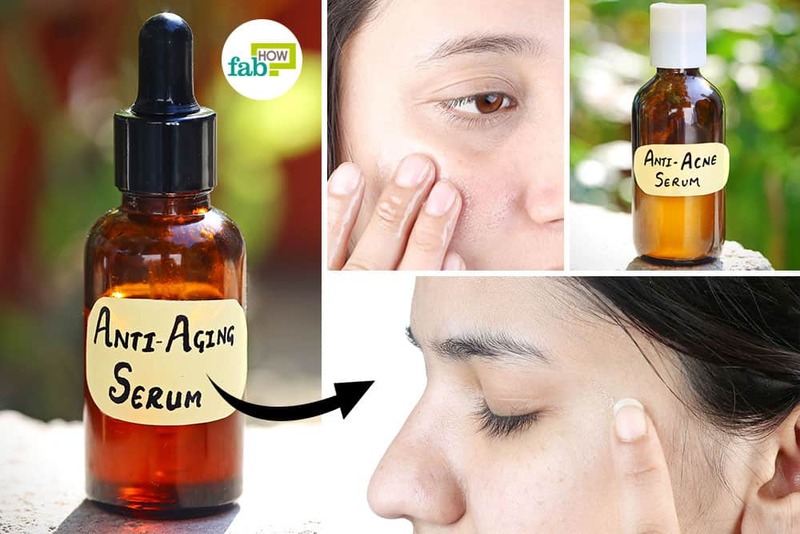 This serum also contains lavender oil and witch hazel that help keep your skin clear and firm. Pour 2 tablespoons of melted coconut oil into a bowl. 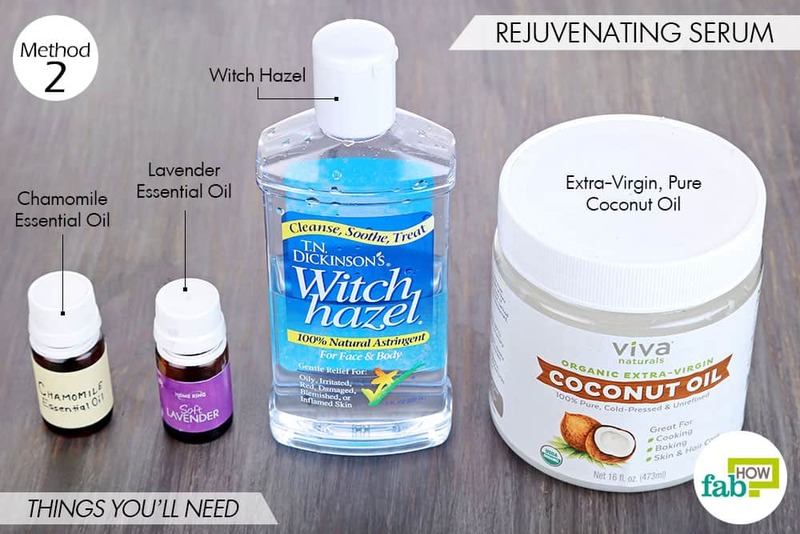 Add 1 tablespoon of witch hazel. Add 3 drops each of chamomile and lavender essential oil. Blend everything using a small, motorized whisk. Funnel the serum into a dark-colored spray bottle. Spray the rejuvenating serum on your face and gently massage it into your skin using circular motions for 1 to 2 minutes. Do this daily before going to bed and leave the serum on for the night. You will feel a change in your skin after the very first night and will find your natural glow restored after 1 week of regular application. 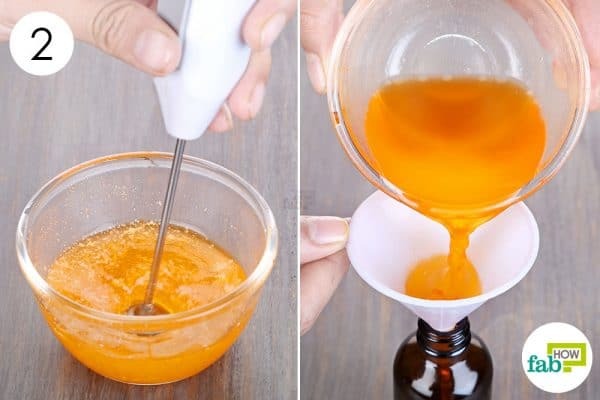 This DIY homemade vitamin C serum is a knockout. It is incredibly simple to make and provides a whole array of benefits. 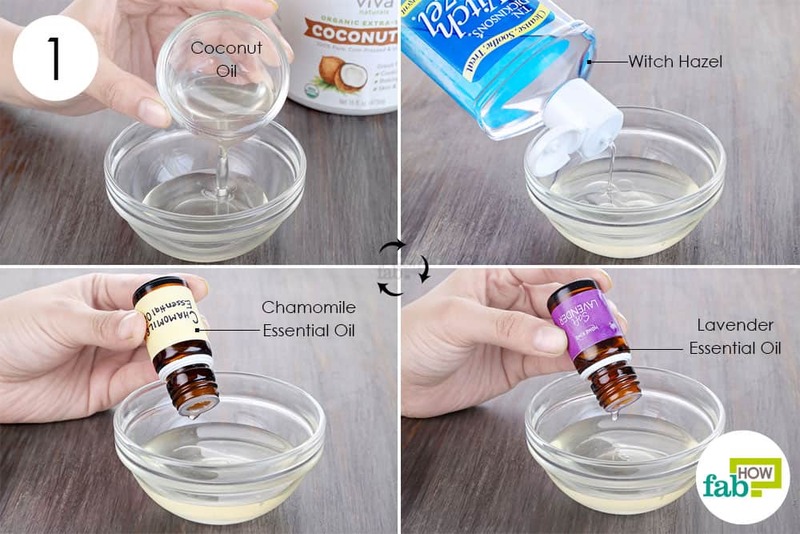 This recipe also contains glycerin and vitamin E oil that work to hydrate and repair your skin. Note: Since vitamin C is slightly acidic, do a patch test before application, especially if you have sensitive skin. 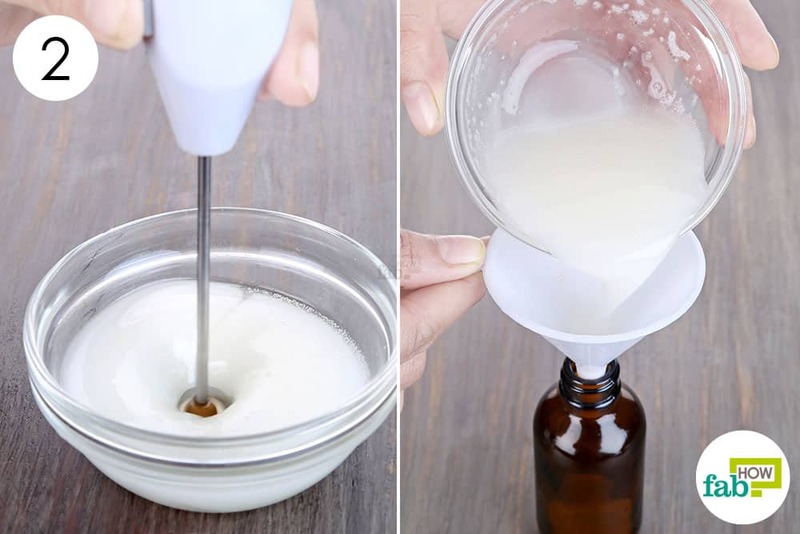 With this DIY serum, you can use a pH test strip to check its acidity. If the strip reads 3 or 3.5, then you are good to go. 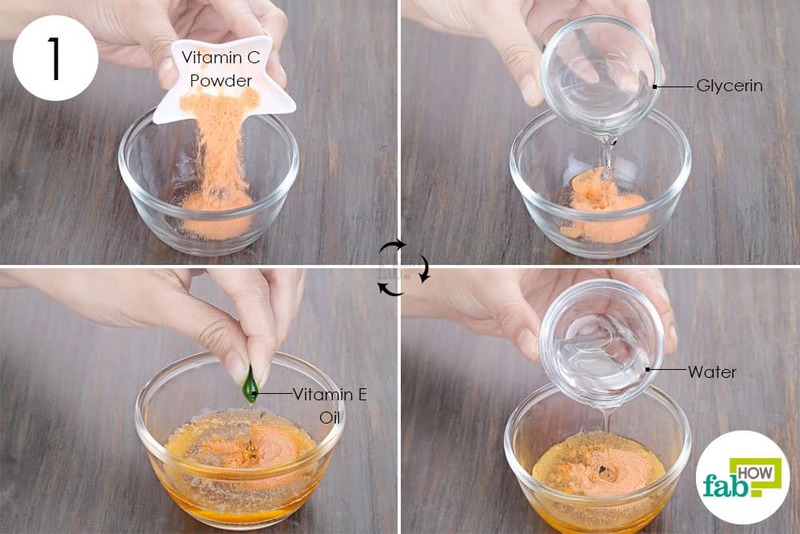 Put 1 teaspoon of vitamin C powder in a bowl. Add 1 tablespoon of glycerin. Add 1 tablespoon of distilled water. Pierce and empty the oil from 2 vitamin E capsules into the mix as well. Blend all the ingredients thoroughly. Funnel the mixture into a dark-colored bottle. Cleanse and tone your skin as usual. 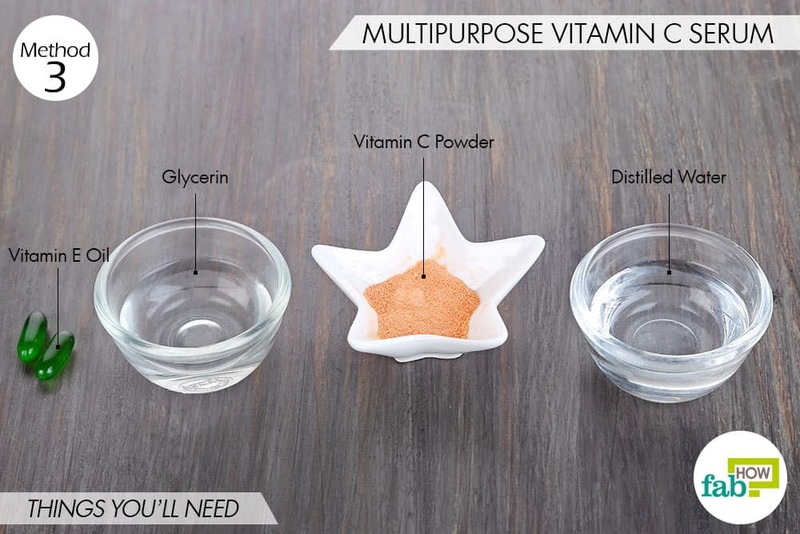 Take 2 or 3 drops of the vitamin C serum in your palm and rub your hands together. 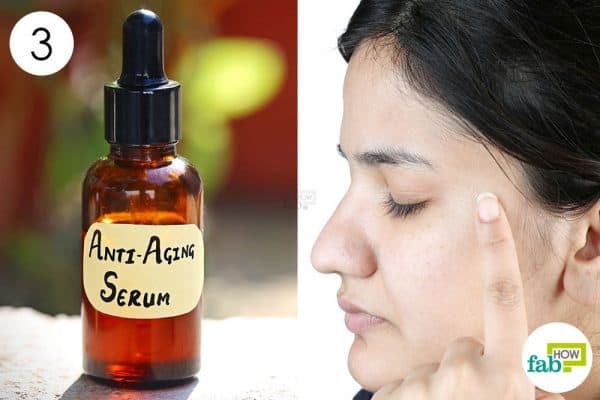 Slowly massage the serum into your face for around 1 to 2 minutes. You can follow it up with your regular moisturizer and wash your face in the morning with lukewarm water. Use this DIY vitamin C serum every night to get bright, smooth and flawless skin. Your skin will start clearing up after 7 to 10 days of application. This serum should stay good for around 3 to 5 days. Prepare small batches every week for regular use. Applying oils to acne-prone skin doesn’t sound like a good plan, right? However, just because you have oily and acne-prone skin doesn’t mean that you have to write-off natural oils completely. 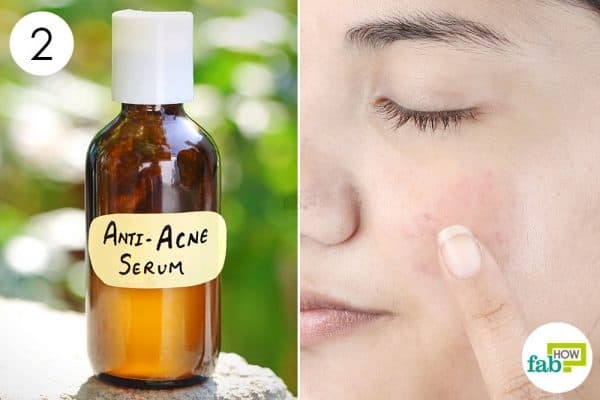 By combining it with tea tree, lavender, and lemongrass essential oils, you can make an all-powerful anti-acne serum and say goodbye to frequent breakouts and acne scars. 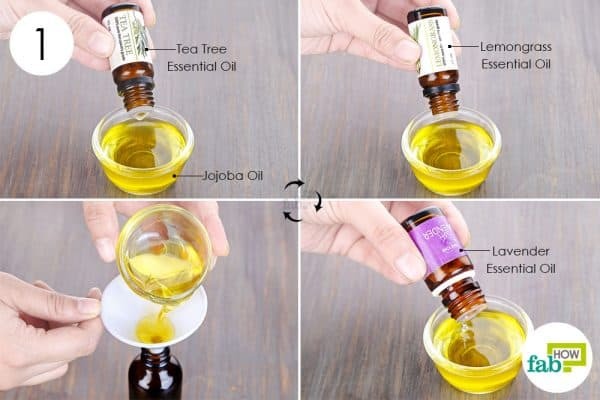 Put 2 tablespoons of jojoba oil in a bowl. Add 5 drops each of tea tree and lemongrass essential oil. Add 10 drops of lavender essential oil as well. Use a funnel to transfer the oil blend into a dark-colored bottle for storage. Rub some of the serum between your hands. Massage it into your face, and apply a few extra drops on the acne-affected patches. Use this serum on a daily basis to get rid of acne and keep it away. You can also apply this serum to other parts of your body that are affected by acne. Always cleanse your skin and remove all traces of makeup before going to bed at night to maintain healthy skin. Failure to do so can be detrimental, as the accumulated dirt and cosmetics can cause breakouts. 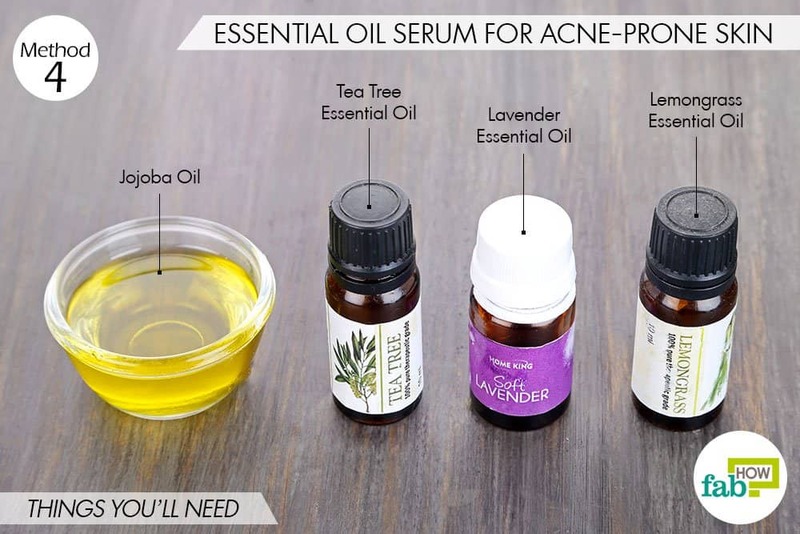 Ensure that you store these DIY serums with essential oils in a cool, dark and dry place. Exposure to light can cause oxidation and cause them to lose their therapeutic properties. If you are interested in more DIYs, you can also make homemade, all-natural hair serums for all hair types. 1. Telang PS. Vitamin C in dermatology - PubMed Central (PMC). Indian Dermatology Online Journal. https://www.ncbi.nlm.nih.gov/pmc/articles/PMC3673383/. Published 2013. 2. Pazyar N, Yaghoobi R, Ghassemi MR, Kazerouni A, Rafeie E, Jamshydian N. Jojoba in dermatology: a succinct review. Giornale Italiano Dermatol Venereol. https://www.ncbi.nlm.nih.gov/pubmed/24442052. Published December 2013. Wonderful recipes! I hope you can answer a question for me. I’ve made a serum with hyaluronic acid, vitamin, glycerin and distilled water. I’ve made it twice and both times the serum really starts to smell after a couple of days. Is that just part of the process? I tried adding a bit of rose water but it didn’t help. We understand your concern. Homemade serum will keep good up to 7 days when stored in a cool dark place. Best is to store it in a refrigerator and use as required. Do not use, if it starts to smell bad. Hope we were able to help. Is there anything that can be used in it to preserve it for longer?